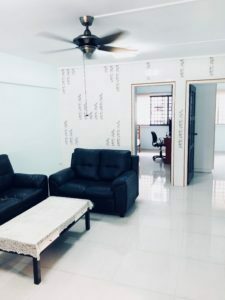 Home » Blog » Success Stories » Client Success-Story: “While renting out my HDB Flat in Singapore, got 6 offers in 4 weeks”, Elango J. 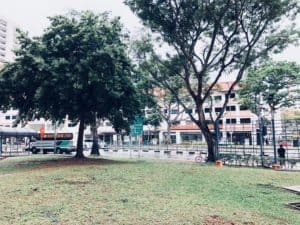 Client Success-Story: “While renting out my HDB Flat in Singapore, got 6 offers in 4 weeks”, Elango J.
Elango J. wanted to rent out his property but didn’t have the time to go through the process himself. In searching for property agents to help him in renting out an HDB flat in Singapore, he chanced upon Propseller. Through Propseller, Elango got to know Eugene, who helped him successfully rent out his flat within a month. For anyone who’s renting out an HDB flat in Singapore, Propseller can help you streamline the process! … was to look for an agent! 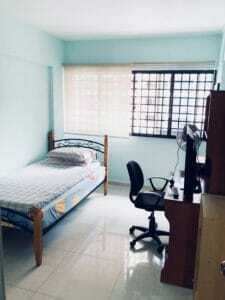 Once I knew I wanted to rent out my HDB flat, I contacted an agent I had worked with previously. Unfortunately, he was no longer in the same line of work. I know that many people ask their friends for recommendations, but I don’t think that’s the best way to do it. If someone recommends an agent whom they’ve worked with 5 years ago, for example, you wouldn’t know if this agent still maintains the same level of professionalism and effectiveness. Plus, their agent may not be specialised in the same type of property or area as mine. Because of this, I decided to skip the word-of-mouth recommendations, and went straight online. One of the few websites I chanced upon was Propseller’s. After filling in a short questionnaire that asked for Property Type, Monthly Rental etc., I got a call from the Propseller representative who found out more about my specific needs (like whether my unit was already empty or not), number of bedrooms (3-rooms HDB Flat), area (location in SG) and timeline expectations (how soon I wanted tenants) and recommended Eugene to me. We arranged to meet up swiftly, I showed Eugene around my property and told him exactly what I was looking for. Once that was done, it was out of my hands! Eugene did all the work, and I didn’t have to worry about anything else. The most important thing to me was that my agent understood my requirements, and looked out for my best interests. For example, I did not want to install too many new things in the unit and didn’t want someone who would simply push me to take on any deal that wouldn’t fit my needs (so that they would get their commission). I’m glad to say that Eugene fit the bill perfectly. To be honest, I didn’t have high expectations of what Eugene would be able to achieve. I hoped that I would be able to have tenants move in soon, but at the same time, I knew that the rental market wasn’t doing too well. So I was pretty happy that Eugene managed to get me quite a few offers (about 6) in a short period of time. Within one month, we had successfully negotiated a contract, and my property was officially off the market. Thank you, Propseller, for delivering! Of course, I have to thank Propseller for introducing Eugene to me. I don’t have much experience with property agents, and I’ve only ever worked with one other before but the Propseller recommended agent was exactly who I was looking for. Bearing this in mind, I really relied on Propseller to recommend an effective agent who could market my property to tenants renting an apartment in Singapore. If any of my friends or family are renting out an apartment in Singapore in the future, I’ll definitely recommend Eugene and Propseller! The next success story can be yours.